We are often asked to describe a typical day here at REGI. The thing is, we don't have a "typical" day ever. Each day is new and different with both challenges and joys. A few days ago we took several more calls than usual after our normal hours. By morning we had five patients waiting for transport from the Wausau area. Oddly each patient has a broken wing. 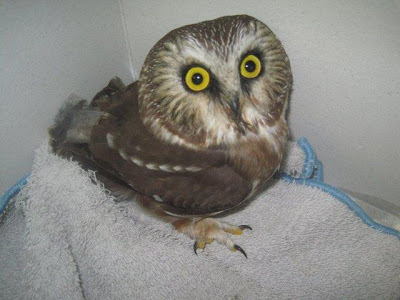 The Saw-whet Owl above was likely hit by a car near Hatley, WI. 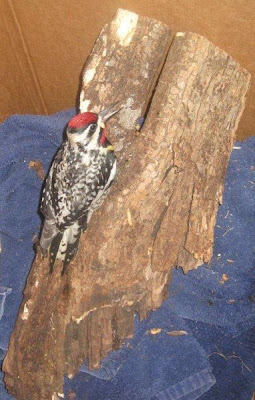 He was in the middle of a highway when spotted by an alert driver. He has a wing fracture but has a great prognosis for a full recovery. That would not have been the case had he not been removed from the road. The tiny owl is also low in weight. Migration exhaustion could be the cause of his low nutrition. 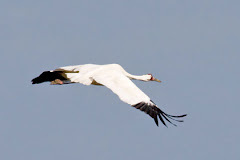 When birds migrate they lose weight. If the little one landed in another Saw-whet Owls territory ( breeding has started for this species) he would be chased out. Finding a comfortable place to hunt and relax is not as easy when resident birds are breeding. American Goldfinches are lovely little members of the finch family. 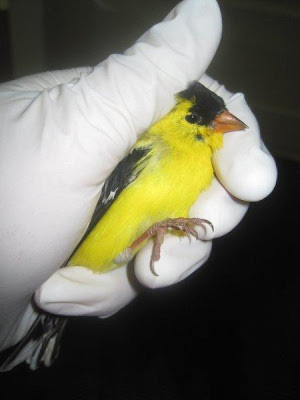 Our most recent American Goldfinch is a brightly colored male. In the spring and summer we admit hundreds of cat caught passerines. This tragedy has an easy "fix" if only cat owners understood the importance of keeping their pet indoors, especially during this sensitive season. Adult birds are often killed while defending their nests or young. In the end it is not one bird killed by a cat, but the entire family if the parent is not longer there to feed babies. Broad-winged Hawks travel as far as Argentine for the winter. We admitted an adult male with a broken wing. Broad-winged Hawks are fascinating. They are demure and chunky looking members of the buteo family just as Red-tailed Hawks. This patient likely just arrived from his winter migration when he was hit by a car. As always it is the public that finds these birds and brings them to us so they can have a second chance at life. 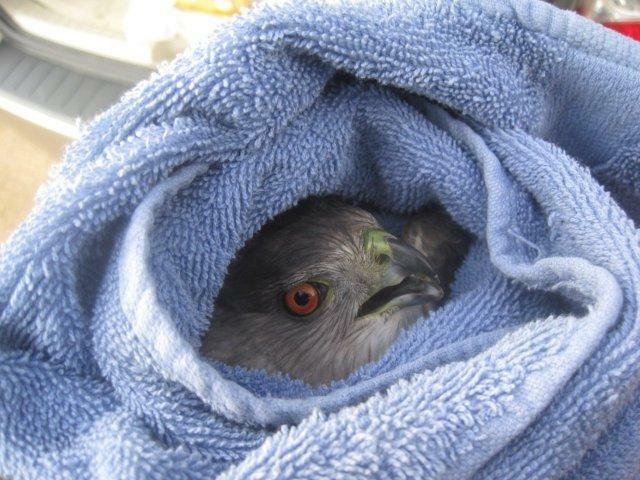 Thanks everyone for stepping up and helping the wild ones when they are injured. I have been occupied with the Gulf of Mexico Oil Spill. I will post news articles that ran during the past few days. I am on call to go to help out, but no one knows where the oil will come ashore or when. There are many more unknowns than solid facts at this point. We are organizing to respond when needed. Going along with that thought. A friend, Ed Clark, posted the warning below on his blog. I will use it because he said it well. "Many groups are soliciting fund to help oiled wildlife in the Gulf. WATCH OUT! The only group working this spill is Tri-State Bird Rescue and Research. They are being paid by BP! 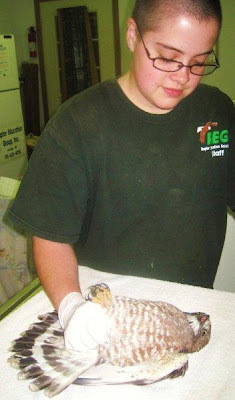 Others claiming to be caring for oiled wildlife are either not telling the truth, or doing something other than removing crude oil from ...feathers! Watch out for predatory fundraisers capitalizing on your compassion!"